When classic mockumentary This is Spinal Tap arrived, many rock stars said they didn’t understand that it was supposed to be a comedy, since so much of the absurd situations reminded them of what they had gone through themselves. I reckon the members of Anvil would have similar sentiments, because this film at times seems like Spinal Tap for real. A both funny and inspiring documentary on two childhood friends who refuse to let go of their dream of being rock stars. I know it shouldn’t matter, but It always pleases me when a film from my country captures the minds of people in other parts of the world. Thomas Alfredsson‘s take on the vampire genre is a great one, cleverly blending familiar tropes with a touching story about the torment of childhood loneliness. Lina Leandersson is teriffic as the vampire Eli, both frightening and intriguing in equal measures. Sam Mendes revisits the theme of being trapped in suburbia that he burst onto the scene with in his debut American Beauty, but here it’s set in the 60s with the comedy stripped out. As the Wheeler family (Winslet and DiCaprio) decides to move to Europe to escape their unfulfilling lives, they’re faced with doubts, fears and the reactions of their friends. A powerful film in many ways, very well-crafted and well-acted. Based on an even better Richard Yates novel, which I compared to the film in this blog post. Based on a play based on real events, Frost/Nixon offers a highly dramatized look at the series of interviews taking place between David Frost (Michael Sheen) and Richard Nixon (Frank Langella) after the latter had received his pardon for Watergate. It’s built up as the last chance for the American people to receive the apology they never got from the ex-president, and while that might be overstating the truth quite a bit, it certainly makes for an exciting movie. The battle of words between interviewer and interviewee is fun and engaging, largely due to the two leads. Sheen offers a charming portrayal of Frost, but it’s Langella who gets the flashier role and he rightfully steals the show. There’s real chemistry between the two, and they’re backed up by a solid bunch of supporting actors, including Oliver Platt, Kevin Bacon and Sam Rockwell. 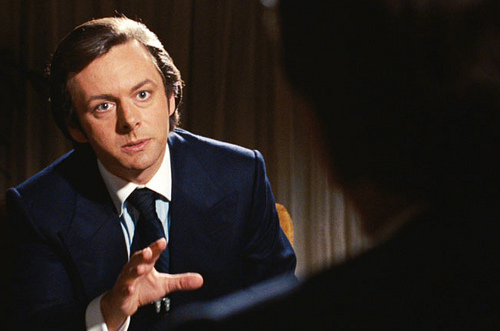 Frost/Nixon might not be what you’d call extraordinary filmmaking, but it is teriffically entertaining. This is a documentary that occasionally dons the shroud of a heist film. 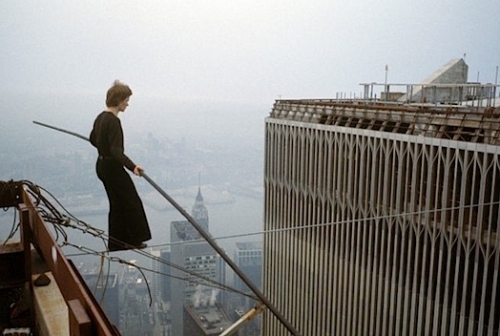 The subject is high-wire artist Philippe Petit, who ever since childhood dreamed of walking on a tight-rope between the two towers of the World Trade Center. Nobody would allow it though, so a great deal of planning takes place in order for him and his collaborators to sneak into the towers, set up the rope and actually performing the task. It’s a thrilling project that makes for a very pleasing watching experience. A lot of it is due to Petit himself, a fascinating person whose optimism and joy always shines through. Gotta love power-acting. Here we have actors who are clearly enjoying portraying their characters. 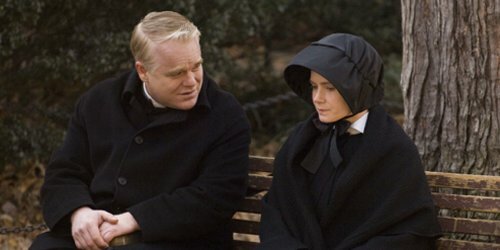 Philip Seymour Hoffman is the sympathetic priest who we want to like, even when doubt sets in. Meryl Streep is the strict and unyielding head nun who suspects him to be a child predator. Caught between the two is younger nun Amy Adams, fraught with worry about who to trust and why. And in a brief but unforgettable performance, Viola Davis steals a crucial scene from right under Streep’s nose. Doubt has a captivating plot and some lovely fun writing, but it’s the actors that make the film special. I love many things about this film, and the title is definitely one of them. Yes, this is a movie about Rachel (Rosemarie DeWitt) marrying her Sidney (Tunde Adebimpe). But she’s not the main character, because there’s no way her syster Kym (Anne Hathaway) could be in a film without taking that spot. On temporary leave from rehab, Kym has the constant need to be the center of attention, no matter whose toes she has to step on. But the wedding is still happening, and the film never lets us forget it. In fact, as great as Hathaway is here, what makes the film stand out is the overall sense of just spending a weekend at this house, with these families, at this wedding. Jonathan Demme is not afraid to focus on people other than Kym extensively (you can just feel her seething with anger over this just off the screen). 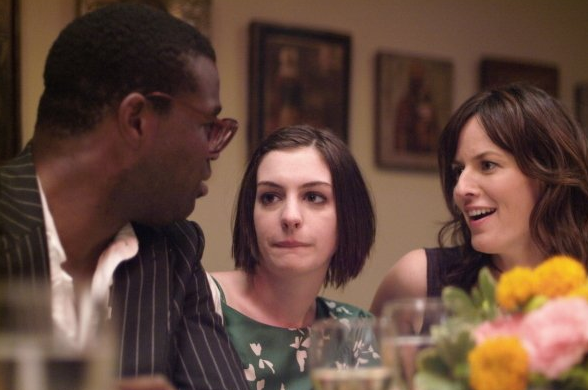 There’s plenty of family drama to be had of course, and some of it quite brutal, but I still don’t hesitate for a minute to call Rachel Getting Married one of the warmest films in the last few years. Such is the strong sense of welcoming this film provides. Not the most radical choice for the #1 spot, but who cares. The Dark Knight lived up to all my expectations and then some. An awesome action film that fixes some of the issues I had with its predecessor Batman Begins (too shaky-camera’d action scenes, a somewhat colorless antagonist, Katie Holmes etc.) and takes the story into new and fascinating directions. Christopher Nolan is the man. What was you favorite films of 2008? What do you think of the movies on this list? Nice list. I agree with most of the choices, though IN BRUGES should definitely be higher. The internal positioning on these lists tend to be quite fleeting for me when I make them, and less interesting than what’s on there at all when I read others’. My only minor gripe with In Bruges is that it gets a bit too contemplating here and there. It’s a pleasant feeling being lulled into the atmosphere of the little town, but the tempo drops a little too low for me at times. But, as I said, it’s a very minor problem. I think it’s a great movie, very funny and quotable. Phenomenal list. I didn’t love all of these titles but I liked them a lot. Rachel Getting Married and In Bruges walked away with the honors of being my two top favorites that year, for the very reasons you mentioned. Nicely done! I’ve seen three of those: In Bruges, Let the Right One In and The Dark Knight. Liked all of them, although I’d put Let the Right One In above DK. I think that’s the top movie of the year to me. I liked Slumdog Millionaire well enough as well as The curious case of Benjamin button, even if I know those movies aren’t all that high rated by other film buffs. And finally my guilty pleasure: Mamma Mia! I really liked Vicky Cristina Barcelona. I haven’t seen all that many Woody Allen films, but of the ones I have, VCB is my favorite. Some lovely performances, and there are few films that make me want to travel as much as that one. Milk is a great film. Definitely check it out when you get the chance. It’s one of the better biopics of the last few years. Sean Penn is amazing. Slumdog Millionaire is another movie I quite enjoyed, though I probably owe it a rewatch at some point. Benjamin Button is one we’ll have to disagree on. I was very disappointed by it. It felt like it didn’t do anything interesting with its gimmick, and the characters rarely gripped me. As for Mamma Mia… Not my cup of tea. I love ABBA, but that film did nothing for me. I really do not know what is going on today. My comments keep not showing up!! Anyway, I love this list, and this is mainly because of your inclusion of In Bruges….LOVE IT!! Also, one of your comments ended up caught by my spam filter, for some reason. Strange. That hasn’t happened before. I don’t know what was going on yesterday. I have had to change EMAIL addy to get my comments to work. weird!! As always, very interesting and nice list. There were a few surprises and the fact that you have two documentaries on it would probably be the biggest ones. I’ve seen both and agree with you that they’re both good and highly watchable. In Bruges is well liked by both critics and movie-goers, but it didn’t really do it for me. At least until the last third of the film that is. I really enjoyed Harry (played by Ralph Fiennes) and when he shows up, the whole movie gets a lot better. Perhaps a bit too much humour for my taste though. I’ve seen the Anvil documentary twice on TV, but only had it on in the background. But I liked what I saw and can understand why you liked it so much. I think the band members make the documentary as good as it is. I also liked your reference to This Is Spinal Tap which I didn’t think about before, but now is pretty obvious. 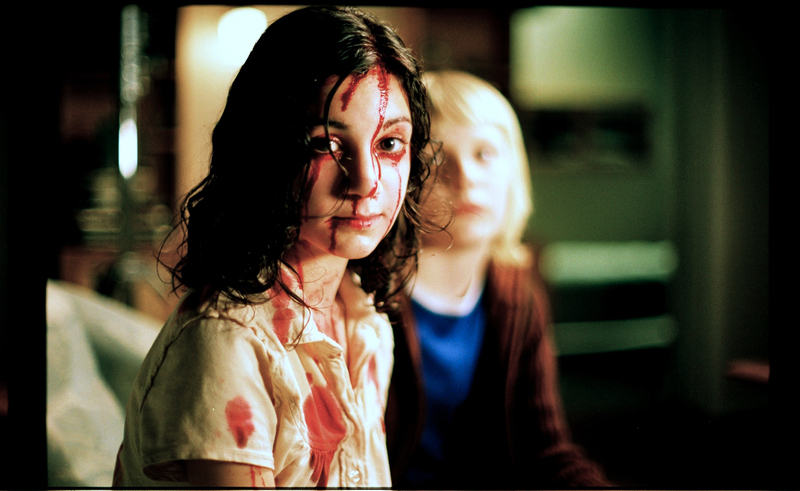 Let the Right One In was surprisingly good. Not my favorite movie of the year, but close to the top ten. I liked the mood that was created and that it was as dark as it was. I can understand why it was/is so well received outside of Sweden as well. I liked Revolutionary Road. I like the era and I liked the troubled relationship. There was a lot to like and I thought Kate Winslet was better here than in The Reader. Frost/Nixon was a bit of a surprise. The fact it was so entertaining was the main reason I liked it so much. Good performances all around and a pretty tense drama that works well from start to finish. Man on Wire was, as you noted, all about the main person. He’s so enigmatic and energetic that you feel it as a viewer and almost get as excited as he does. Some stunning stunts for sure, too bad the “walk” wasn’t captured on film, something which was a let down not to see. Doubt, hmm, not really my cup of tea. Good performances, no doubt, but a bit boring in my opinion. I can understand why you liked it though. To see Rachel Getting Married so high is a bit of a surprise, that’s for sure. I enjoyed Anne Hathaway in this one and she was a bit of a favorite of mine that Oscar year. But I agree there was more to the film than her performance. Still, not good enough for the film to get a spot on my top ten. 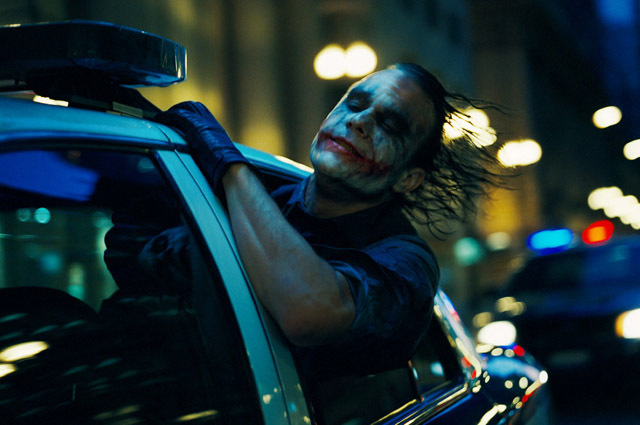 The Dark Knight is a good, all out action film. I don’t like superhero movies, but what Nolan has done is pretty much the best you can get. I think I like Batman Begins a bit more actually, but I agree that the action sequences are far better in The Dark Knight as they felt a bit so-so in Batman Begins (compared to this one). However, Batman Begins worked better for me with it’s story. I also thought The Dark Knight had too MUCH action and could’ve saved some of it for the next movie (especially Two-Face). All in all, a very nice list and some different choices, which is always welcomed. Thank you for the thorough reply, MN. Always fun to hear what you think about the movies listed. You’re not the first one I’ve heard say that about Lakeview Terrace. It was another one of those out-of-nowhere pleasant surprises for me (like Felon, which we discussed on your blog, even if the movies are very different). LT just clicked for me. I’ll have to disagree with you on Winslet. I think she’s really good in Revolutionary Road, but even better in The Reader. RR has so much else going for it besides Winslet though, which is why that film is on this list while The Reader isn’t. I agree she’s good in The Reader as well, but personally I liked her character more in RR and thought it was a better performance. But it’s my opinion and people don’t always agreee ;) But we both agree that RR is a better movie out of the two and has more to it than The Reader. Some great choices! 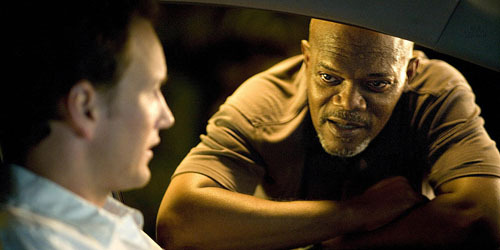 I thought Lakeview Terrace was great too and nice to see Man On Wire mentioned. Still have some of these movies on DVD and haven’t watched them yet! Heard a lot of good things about the Anvil documentary. Is it also interesting if you aren’t into this type of music? I’m not a rock guy, which is why I never watched it. I’m the wrong person to ask as I’m quite a rock fan myself. I reckon it’s fairly “universal” though, in the sense that these guys could have been playing any kind of music and it wouldn’t make a ton of difference in how the movie’s presented. I’d say it’s worth giving a go even if you’re not into the music. Regarding the Anvil documentary, I wouldn’t consider myself a rock fan (even though I like the music every now and then). The interesting part isn’t the music for me, but the people in it and they make it worth checking out for sure.